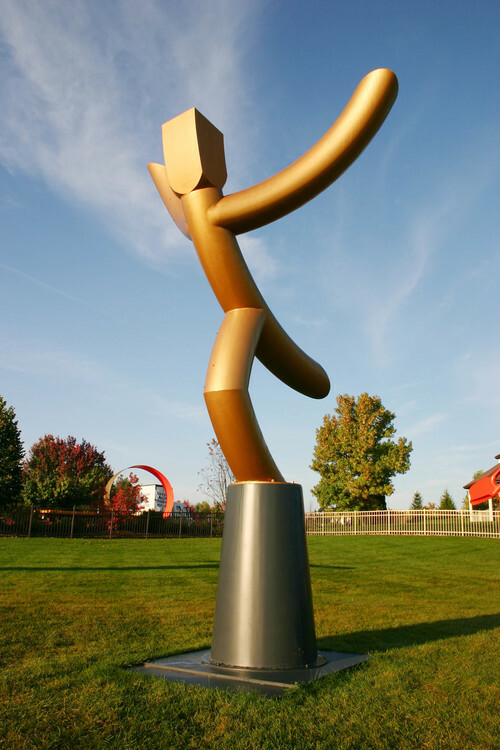 Near the Lincoln Park Conservatory on Chicago’s north side, a sleek gold steel sculpture greets visitors: with arms raised, the figure leans in like a marathon runner about to cross a finish line. Its two legs bend and swoop with the grace of an ice skater, but upon closer look, one leg appears shorter than the other. Aptly named “Finish,” this statue is one of many created by Terrence Karpowicz, an artist and sculptor based in Chicago. In 1975, Karpowicz lost his right leg in a motorcycle accident while studying in Europe on a Fulbright Scholarship. "Finish" by Terrence Karpowicz. Photo courtesy of the artist. Since his accident, Karpowicz has both witnessed and experienced the evolution of prosthetic legs: from passive legs that can be difficult to use for complex tasks like climbing stairs, to powered systems that attempt to mimic the dynamic activity of an intact knee and ankle. As a research participant, he has long been involved with studies at the Center for Bionic Medicine, testing our group’s lightweight powered prosthetic leg that adjusts motor power and speed based on the user’s needs, and also our intent recognition control system that aims to predict his next move. Both technologies, he says, will help him climb up or down stairs or slopes more efficiently and complete daily tasks like moving from sitting to standing easier. Karpowicz adds that as with any relationship, it takes time to first accommodate to using a new prosthetic limb. “You have to learn it, trust it, and ultimately depend upon it,” he notes. 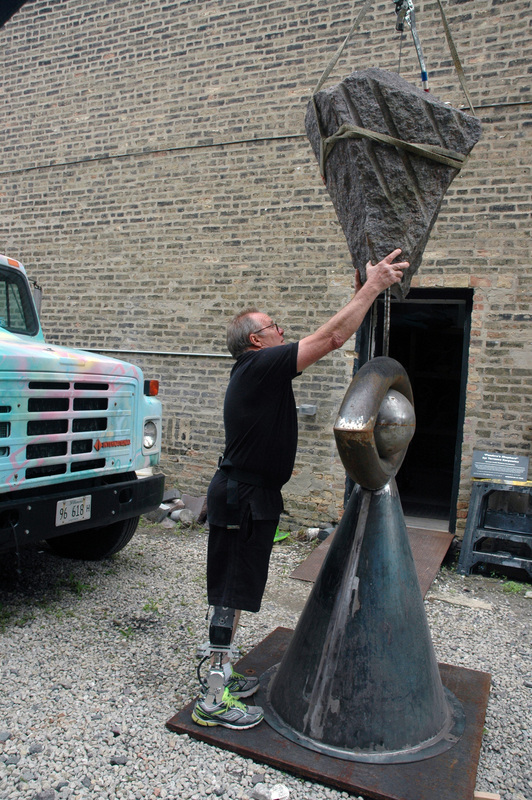 Inside his studio, based in the Canaryville neighborhood of Chicago on the city's south side, drills and sanders sit alongside pieces of artwork in progress. While the process of welding and manipulating steel and stone is an arduous task, Karpowicz doesn’t keep track of time when making his artwork. See more of Karpowicz’s artwork on his website.